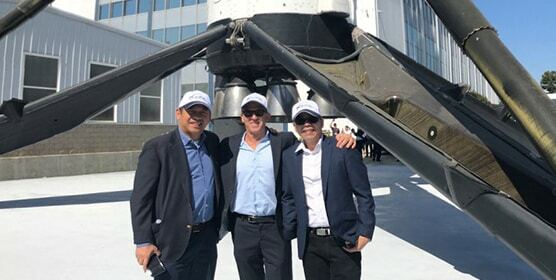 18 December 2018 – Senior executives and investors from We Are IT (WIT) Philippines recently visited the Boeing satellite factory in El Segundo, California to mark an important construction milestone of Kacific1. This next-generation satellite owned by Kacific will be the first to stream high-speed, low-cost broadband access throughout the Asia Pacific region, including the Philippines, from next year. In attendance were Joseph Maddatu, CEO of WIT Philippines; Norman Macasaet, CFO of WIT Philippines; and a number of WIT Philippines business partners. 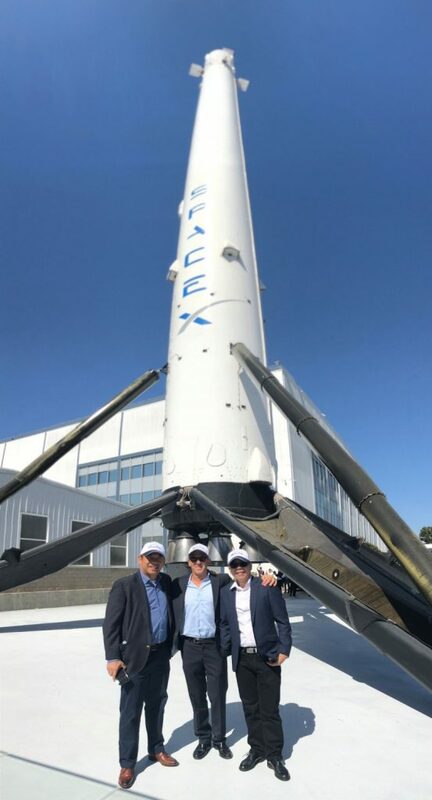 The VIP visitors were also given the opportunity to tour of the SpaceX factory and see the production lines of the Falcon9 launch vehicle, the same model that next year will take Kacific1 into geostationary orbit. Boeing has started integration and testing of the Kacific1 payload, which consists of the communications electronics. It has also started integration and testing of the satellite platform which includes the power and propulsion systems. The communications antennas are being prepared for range tests starting in the next few weeks. After launch, Kacific1 will begin streaming high-speed broadband internet to the Philippines, which can be used in a range of areas including business, tourism, education, healthcare and disaster response.